The building itself is unassuming, you might walk past without even noticing it. Please don’t! In my humble opinion, it’s one of the best sites in Istanbul, and that’s saying a lot. 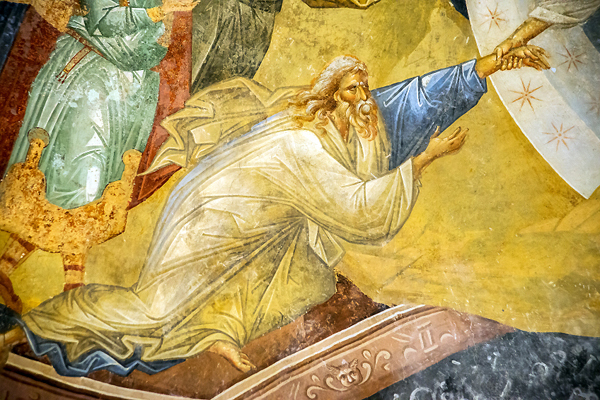 Inside is a collection of the best Byzantine art in Istanbul and among the best anywhere. 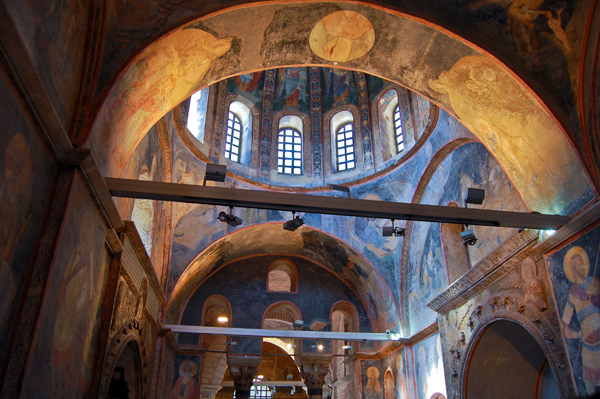 Chora, which means “country” in Greek, was originally built as a Christian monastery and church in the early 5th century. It was called the Church of the Holy Savior in the Country because it was built outside the city walls. Only a few years later, new walls were built that incorporated the church in the city but the country name stuck. 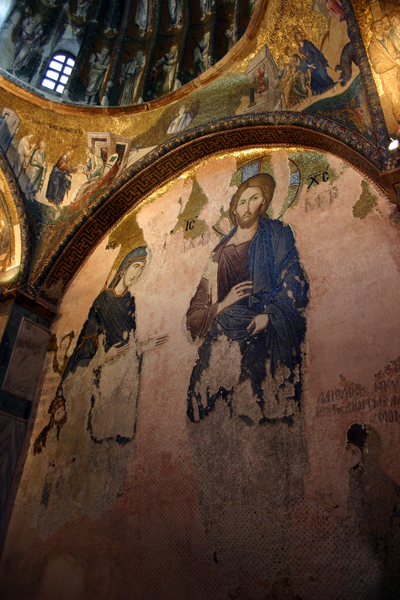 The existing building dates mostly from the 11th century, with mosaics and frescos mostly from the 14th century. The Ottomans converted the church to a mosque early in the 16th century and covered the interior walls in plaster. In 1945, the mosque became a museum and 1948-1959 the Byzantine Institute of America worked to uncover the mosaics and frescos. Inside, the feeling is intimate, the ceilings are low, the walls close. From every side, you’re draped in exquisite color and palpable emotion. It’s exhilarating and spellbinding, an entirely different experience from Istanbul’s most famous Byzantine monument, Hagia Sophia. 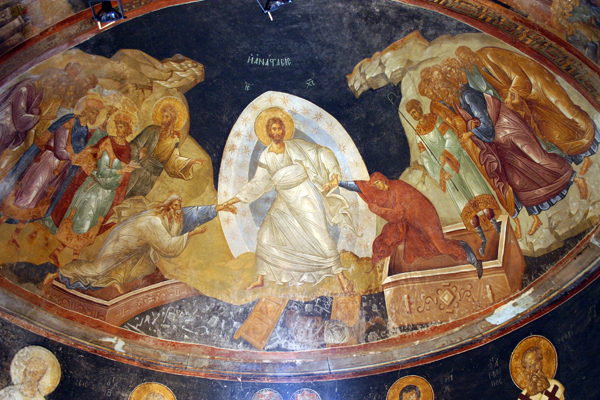 This entry was posted in Istanbul, Turkey and tagged chora museum, church of holy savior in chora, church of st. savior in chora, Istanbul, kariye museum by yalla2013. Bookmark the permalink. 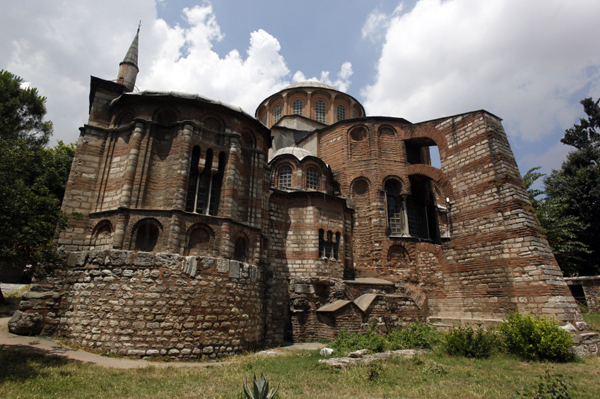 The Beauty of Chora, Istanbul…by Kyna Perry, Ya’lla Tours USA.